When your mailbox gets damaged or simply needs replacement due to age and weathering, you can do the task yourself. It only takes a few simple steps to install a replacement mailbox in the correct manner required by federal regulations. 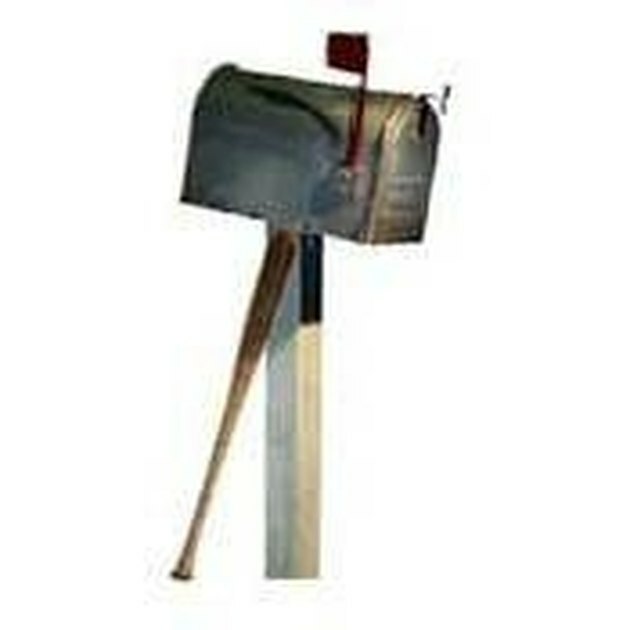 Purchase a replacement mailbox. You can find a box that meets federal requirements at most hardware and home improvement stores or big retailers such as Wal-Mart or Target. If you live in an area with a home owner's association, make sure your replacement mailbox meets the group's requirements for color and shape as well. If you are installing a replacement post, make sure that it meets federal height regulations. A mailbox is required to sit at a height of 42 inches above ground. Your post will need to be at least 60 inches (5 feet) in length, since you'll need to bury at least 18 inches below ground level for stability. If the post is too long, you can cut it down to size. If it's too short, you will need to purchase an appropriate one. Paint the mailbox post. You only need to paint the portion that will be showing above the ground, although you can paint the entire pole if desired. Use exterior paint that will withstand weather. Dig a hole of the proper depth, fill it with quick-setting concrete and gravel, and put in the pole. Measure it to ensure that it's high enough to mount the mailbox at the required 42-inch height. When the concrete has fully set and the post is secure in the ground, mount the mailbox. You will use the hardware that comes with it, which usually consists of brackets or screws. Install the adhesive numbers on your replacement mailbox. Simply peel off the backing and press them onto the front door or side of the box.